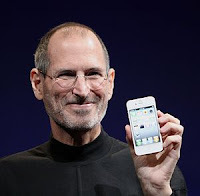 Social Media Marketing Blog by Jyoti: Steve Jobs..Bill Gates..Mark Zukerburg...who next ? Steve Jobs..Bill Gates..Mark Zukerburg...who next ? Steve Jobs..Bill Gates..Mark Zukerburg...who will be the next IT revolutionary leader ? Google wants to crush the iPhone with its Android system. Amazon has jumped into the tablet business. Netflix wants to dominate the world’s living rooms, leaving iTunes behind. Facebook wants to be the window to the Internet, controlling just about everything. The great IT professional, Steve Jobs’s death leaves Apple facing challenges without its lead visionary. The death of Steve Jobs at age 56 comes at a crucial period in the history of personal computing — an industry he almost single-handedly created, first with the Apple II, then the Macintosh, then iTunes and the iPod, and now the iPhone and the iPad. "Steve's brilliance, passion and energy were the source of countless innovations that enrich and improve all of our lives. The world is immeasurably better because of Steve,"
Apple said in a statement. Steve Jobs will be forever in my mind, one of the greatest IT leaders of our time, and will be missed. I extend my sincere condolences. e-Tribute posted from my iPhone 4 - will remember 4ever. "Death Is Very Likely The Single Best Invention Of Life" - Steve Jobs said. Please leave your comment and share this post. What do you say? Mango from Microsoft, Ice Cream from Google ?